Andy Murray finally reached his goal. He bitterly lost many finals in recent years, but now his perseverance literally paid off. This great breakthrough happened after Murray hired a new coach, the tennis legend, Ivan Lendl, or Ivan the terrible, as he used to be called. The man with no smile finally succumed to showing a small portion of his front teeth while slightly shifting from side to side during the award ceremony which could have signified some satisfacion at having helped to bring this victory about. Today is last day of our Yin Metal week, so this Sunday we shall introduce two more persons. 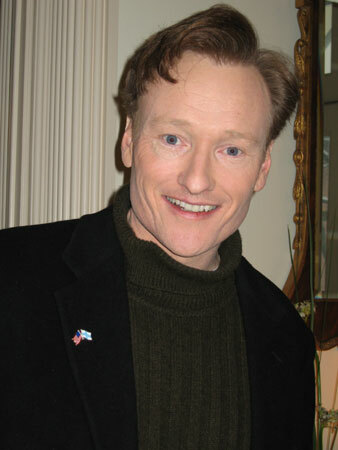 The first is one of the most famous TV Hosts and comedians of our time, Conan O’Brien. He is another typical Yin Metal showman with large amount of Yin Wood, making him very attractive to the audience. Today we are introducing the first male person of our Yin Metal Week. Michael Jordan is probably the best basketball player ever. But what really separated him from the rest is his ability to present himself and build business on top of his image, including his strong advertising deal with Nike, appearance in movies and being involved in showbusiness generally. It’s Yin Metal week on Turtle Luck. Today we are introducing another lady who shows a very typical Yin Metal personality, Angelina Jolie. Angie loves publicity, being well dressed and involving in charity actions, which is very typical for Yin Metal people. She also can’t bear injustice, typical for her type. that is why we can see her visiting balkan countries lately, trying to influence post-war conflicts and make things straight and right.